With a new tagline — “Discover Your Future” — a phenomenal new website, and teen-targeted imagery, Exploring is ready for takeoff. By now you’ve heard there’s a new Boy Scout Handbook. Here are 13 things to love about the 13th edition of the guy’s guide to adventure. On National Signing Day, Landon Dickerson said — on live TV — that rather than enroll in college early he would work on his Eagle Scout service project. Fellow Scouts send hundreds of cards, patches, T-shirts and more to help cheer up one Vermont Cub Scout after major surgery. 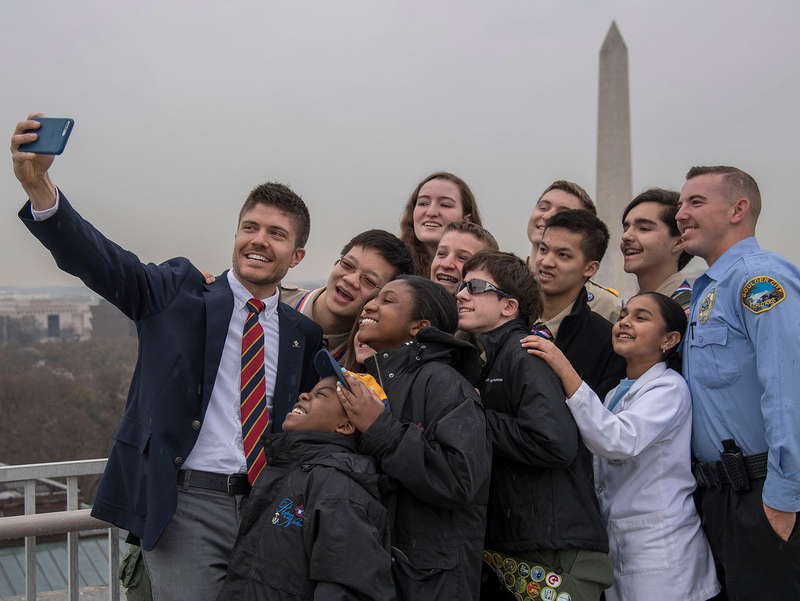 Encourage a Scout or Venturer you know to apply for the 2016-2017 Keep America Beautiful Youth Advisory Council. Jamborees create memories that last a lifetime, and we want to hear about those memories. Share your National Jamboree memories here. The National Venturing President and National Sea Scout Boatswain for the 2016-2017 Scouting year have been named. Please congratulate these young people. The new, 13th edition of the Boy Scout Handbook was designed with navigation in mind. It’s the most user-friendly Handbook the BSA has ever released.